If you are frantically searching for information on the best ways of selling your home fast in South Florida, you have come to the right place! We are here to take you through a quick run through of all the tips and secrets of how to sell your home quickly and with as little stress to you and your family as possible. We know that selling your house could turn out to be quite a challenging thing to do. Many people struggle to sell their homes because they might just have missed the season for buying or they have memories associated with their house that makes it hard to let go. But sometimes life confronts us with certain situations that force us to sell our home, and demands for it to happen immediately! However no matter what situation you find yourself in, you need not worry, as we are here to help you through the process of selling your home fast. Selling your home shouldn’t be a stressful transaction even if it means selling your home fast. It is important that the investment spent on your home pays off. It is our ambition that you are able to sell your home fast and as easy as possible so that you can move forward into the next chapter of your life. 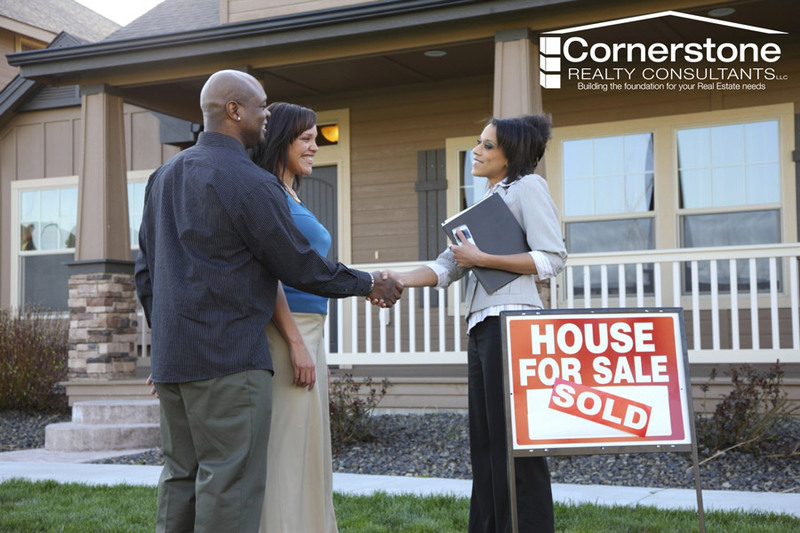 Cornerstone Property is more than equipped with services and experience to manage the sale of your home. We manage the sale from beginning to end leaving no gaps unattended. In other words we will manage your home from the initial consultation you have with us to the closing deal when your house has been sold. We don’t only care about selling your home but we strive in making all our clients happy beyond their expectations. When choosing to sell your home with us your agent will take you through every step of the process. Your agent will complete a comparative market analysis in which your house will be compared to other houses in your neighborhood. A detailed plan will be provided specifying what steps will be followed in order to sell your house. Your house will be advertised though the Internet and local media. Your agent will ensure the right exposure for your house and guide you stage your home to maximize its appeal so you can get the best price your home deserves. Guidance and comprehensive assistance will be provided to you when negotiating offers and help you make the best possible choice. Your agent will assist you in looking for your new home by providing you with all the information you require. You can put your house on the market yourself, but it is the estate agent who will actually be selling your home for you. That is why choosing the right estate agent is an important decision you have to make. Choosing the right agent could make the difference between getting the investment back on your house or not able to sell your house at all. Therefore knowing which agent is right for you will make a difference in your life. If you want to know how good our estate agents are you only have to look at our sales record to see that we have made some of the best deals. Do not hesitate to give us a call and we will be happy to answer and explain any queries you may have.